Our next journey was to Lake Iseo. Of the Italian lakes, Lago Iseo is the fourth largest; it is the lake that charms Italians. Christo and Jeanne-Claude wrapped the small island of San Paolo and you could literally walk over the lake between Sulzano and Monte Isola. Look online for the photos, I am so sad I missed it. 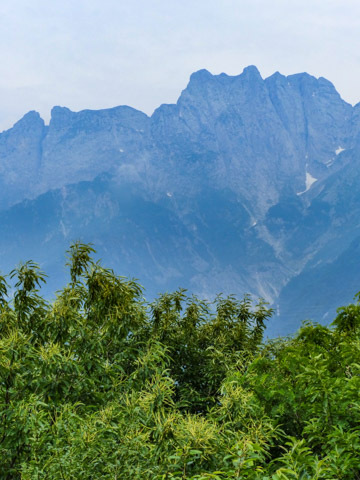 It is quieter with no tourist buses, yet with some wonderful guest houses and restaurants in the midst of the central Alps. 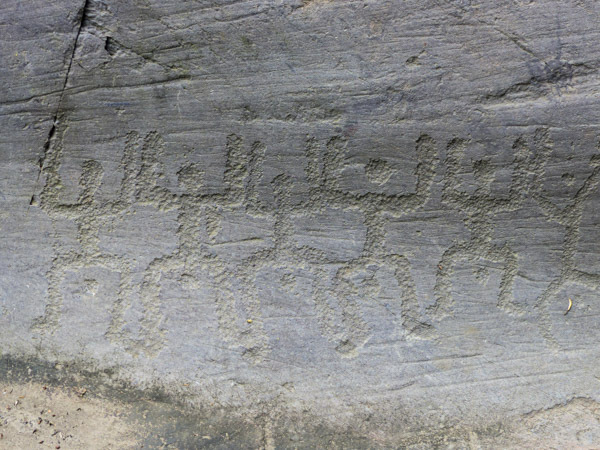 Our real reason is because it is a great stop off point to Val Camonica to see prehistoric petroglyphs. A horse or a dog? We left Lake Iseo very early to take the train up to Capo di Ponte and on arrival, had to find the way to get on the other side of the train line. Just then someone popped up from underground and we were able to see her subterranean passage. 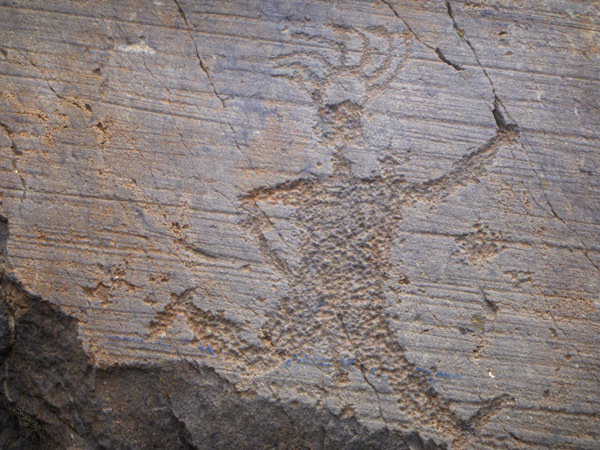 Running Man looks a bit like Kokopelli, a petroglyph from the American Southwest. Running Man may have been a priest or a man with feathers in his hair or a man blessed by the sun. Kokopelli is always portrayed playing a flute but the resemblance is striking. 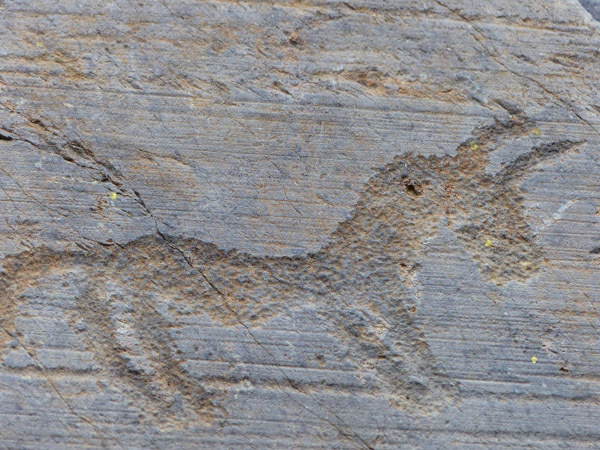 Perhaps Running Man is a younger Kokopelli, before his back hunched. This took us right off the beaten track but the journey was fascinating. We took the train to the northernmost point of Lake Iseo and caught the ferry back to Sulzano by way of Monte Isola. While it is fascinating to view the hundreds of rock drawings easily found walking around the National Park, the countryside is beautiful. Chestnuts, birch, pines and beautiful alpine flowers and mosses. It is a truly beautiful area. 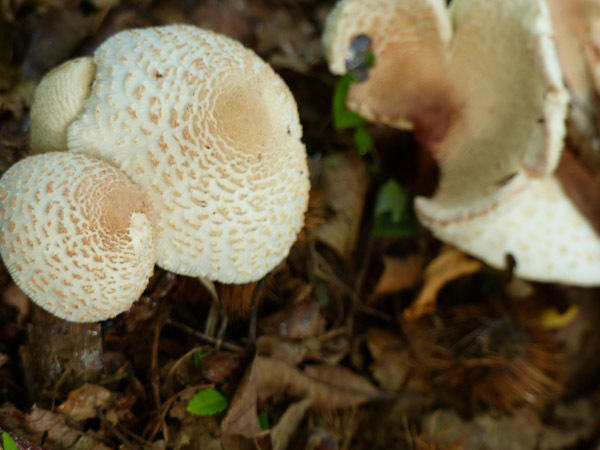 I don’t think these are Portobellos but they were beautiful.